Includes a hanging cord for easy display! 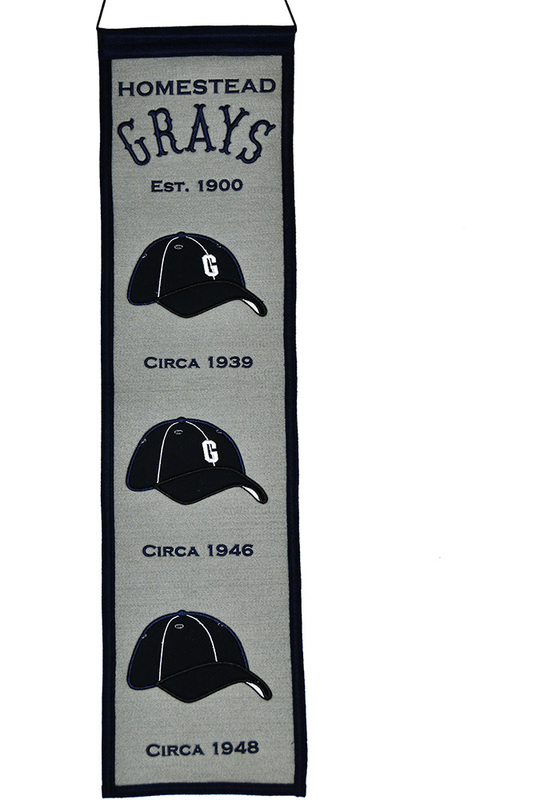 Hang this Homestead Grays 8x32 Heritage Banner to show off your Washington Grays Grays spirit. This Banner features a vertical list of all the team logos through out history.